Welcome to Om Industries. S.S Equipment presents itself as a well-known supplier of stainless steel products like turn table, conveyor table, S.S Furniture, tool box in Gujarat. We are the leading supplier and manufacturer of heavy duty SS Platform Trolley. We provide these trolleys for different commercial and industrial applications, like carrying heavy materials and transporting them to different places places in cities of Gujarat like Ahmedabad, Rajkot, Vadodara, Valsad, Surat, Anand, Nadiyad. Made with high-end Grade 304 stainless steel, our platform trolleys are used widely in chemical industries, pharmaceuticals and several industries. 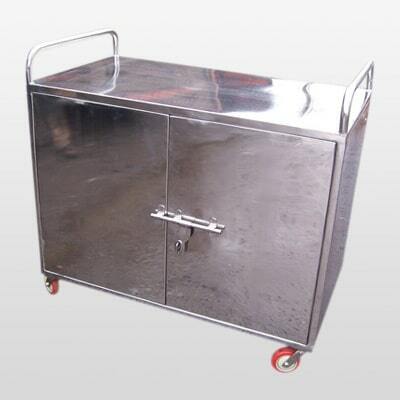 In addition, these trolleys are corrosion resistant, highly functional and durable.